The 2008 season is definitely coming to an end. It has brought some interesting new herbs and plants to my summer garden. I am happy to see that my old thyme thrived through the long and warm summer. There are a few other plants that grow much further south in my garden, and I wonder whether they will survive the winter. I found this most delicate strawberry plant in my garden centre in May. 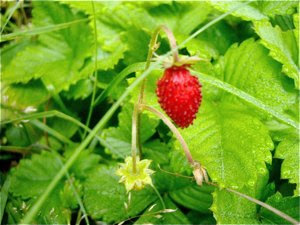 It has provided me with small tasty strawberries during the summer, tasted one by one - not in large quantities. It nearly died during the first drought period in May, as temperatures soared to 30C (84F) the leaves turning yellow and limp. I saved it with cold fresh water and it has thrived in the shades of my flower bed and will - until the frost comes continue to share its harvest. 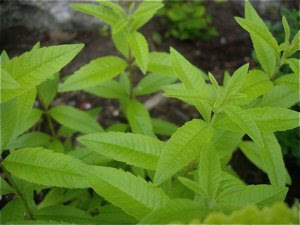 Lemon verbena is a native of South America, and I am very excited whether it will survive during the winter in the mild coastal climate of the Norwegian south eastern coast. It was brought to Europe by the Spanish around 300 years ago, and grows in milder climates into a bush 1-3 metres in height. Its lemon character is created by three substances, citral, nerol, and geraniol. 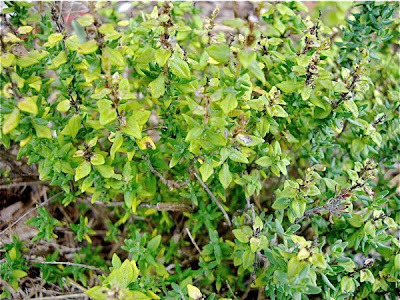 It is one of three lemon spices in my garden as lemon thyme, lemon balm, to add to your fish and poultry dishes, vegetable marinades, salad dressings, jams, puddings, and beverages. 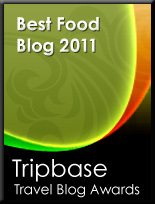 Are you going to Scarborough Fair? Parsley, sage, rosemary and thyme, Remember me to one who lives there, For she/he once was a true love of mine. 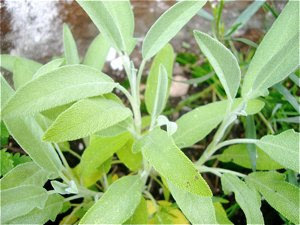 As the lyrics of the 300 years old ballad shows, Salvia is a very old herb used to flavor food as well as for medicinal purposes. I have never managed to get it to thrive in my garden, but I just had to try another plant on another location. This as it is a fabulous herb for poultry, lamb, beef and game. Chamaerops cerifera is a native of the Atlas mountains of Morocco. 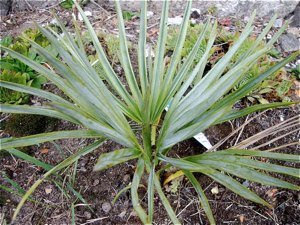 This small, slow-growing palm grows up to 2000 metres being exposed to scorching heat, drought, snow, and freezing temperatures. The trick is to plant it in dry soil, and even if it may endure frost down to -10 C (14F) in Africa, this requires much hotter summers than here in the North. I just cross my fingers. 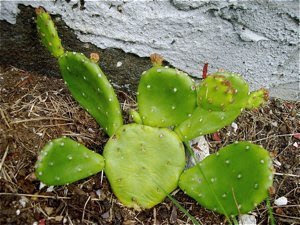 Eastern Prickly Pear is more hardy than most other of its relatives. 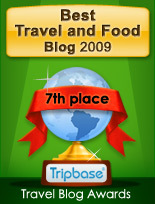 It has conquered Northeastern America up to Toronto - an area with a cold winter climate. I found it in my garden centre and it was winter hardy and resistant to temperatures down to -26C (-15F). I was told that if my hens and chicks thrived, this certainly would be happy. So we'll see - I'll keep you posted! !